AV Programming Associates is a certified Crestron programming company providing San Diego, Orange County, and LA customers with design support, lighting programming and Crestron system evaluations. AVPA possesses decades of software experience and has completed over 1,000 projects as a Crestron Service Provider (CSP) / Authorized Independent Programming (CAIP) group since 2001. Unlike most of their competitors, AVPA has delivered programming in all professional AV environments and vertical markets. They needed a modern, responsive website to showcases the breadth of the company's abilities and the laundry list of projects they've completed since starting in 2001. This is the 5th generation website that Modmacro has provided for AVPA over many years. 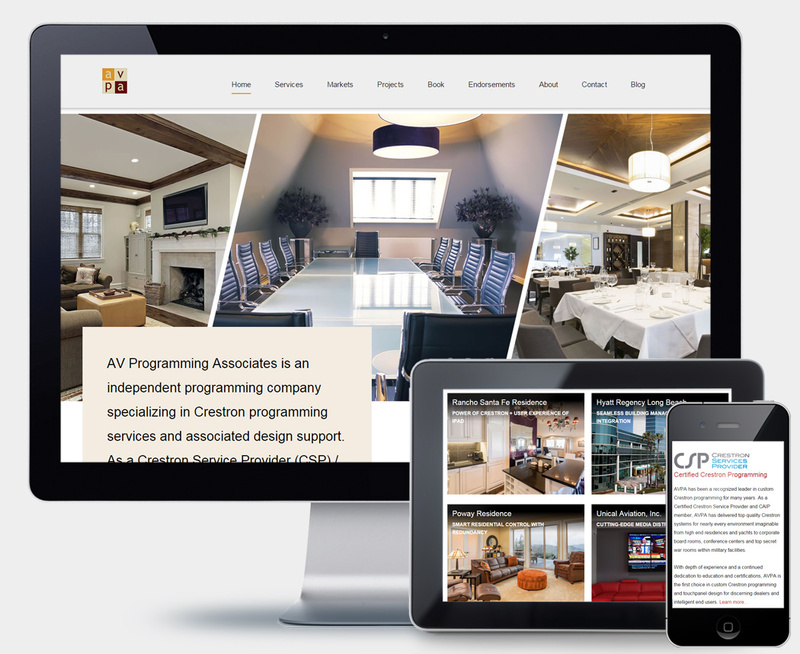 We delivered a clean, modern website in synthesis with the existing useful features that made AVPA’s previous website so successful at attracting their target customers. The new layout better represents AVPA’s position as an industry leader in the professional audiovisual industry and conveys a presence of professionalism that AVPA’s clients have come to expect. Most importantly, the responsive website now effectively serves the public in a device-independent fashion.